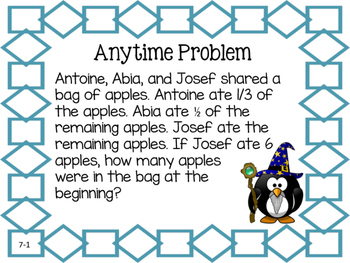 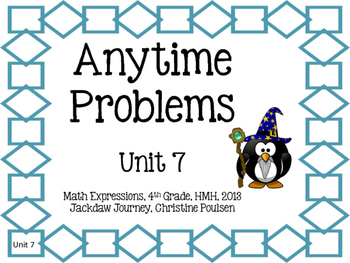 Give students a digital view of the Anytime Problems included in Math Expressions series Unit 7, grade 4. PDF files perfect for displaying on your IWB or with only a projector. 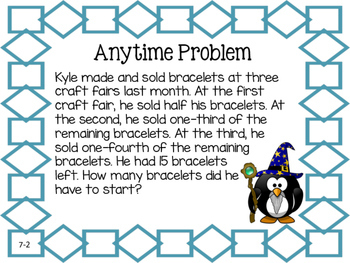 Or print in booklet form to hand out to those fast finishers at the beginning of the unit.